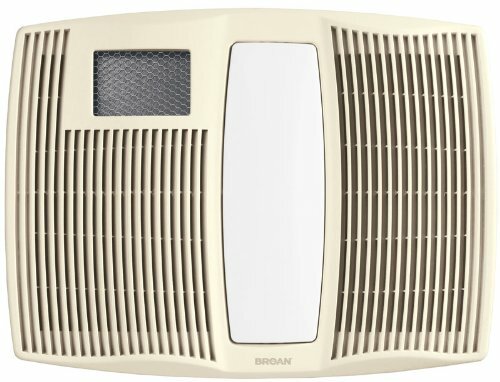 BathroomHeater.org: Bathroom Heaters, Vents, Prices & Info — Page 2 of 3 — Find and compare various types of freestanding, wall-mounted, celing-mounted, and radiant bathroom heaters. Find and compare various types of freestanding, wall-mounted, celing-mounted, and radiant bathroom heaters. Today, bathrooms have become so much more than just a functional room in your home. 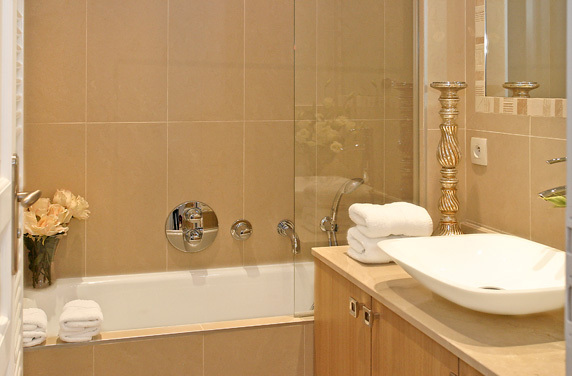 Bathrooms are special personal spaces, and we love to decorate them. Whether creating a look of lavish luxury, ultra modern simplicity, a romantic sensual haven, or a relaxing spa, physical space is often an issue. 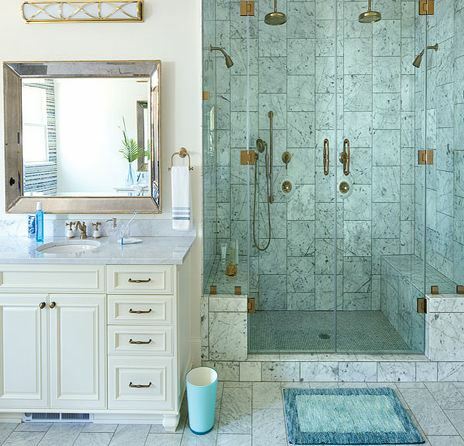 Many of us do not have huge bathroom spaces that we see in designer idea books, so the first step to achieving your own dream bathroom look, is to give your space the visual illusion of expansion. Once your bathroom feels larger, you will be amazed at how many more decorating options you will have to play with. 1. Take your shower tiles to the ceiling. Regardless of how small your shower space is, laying the shower tile to the ceiling will create an illusion of more space. When the tile goes all the way up, it does not create a forced break at the wall that the eye tends to notice and concentrate on. Also, consider laying tiles vertically rather than horizontally, as this will also help draw the eye up to the ceiling. With this trick, you can even use dark tiles if you would like, without worrying that they will make the area look crammed and small. For a larger-than-life feel in your bathroom, use large tiles. They will help visually expand the space, where as small or even medium size tiles will break it up too much, making it look much smaller. This is especially true for the floor. While you may think that putting small floor tiles on a floor makes sense in a tiny bathroom, the opposite is actually true. If your floor can support big tiles, go for them. Big tiles will also mean less busy-looking grout lines. If you decide to go for large floor tiles, do not use ceramic ones, as they will be more likely to crack. Instead, use marble or another polished stone. For this look to work, be sure that tiles do not have any patterns on them, as this will kill the bold expansive look you are trying to achieve. Lastly, you should use the same color grout as the color of tiles, using contrasting colors will also ruin the visual effect of a bigger space. 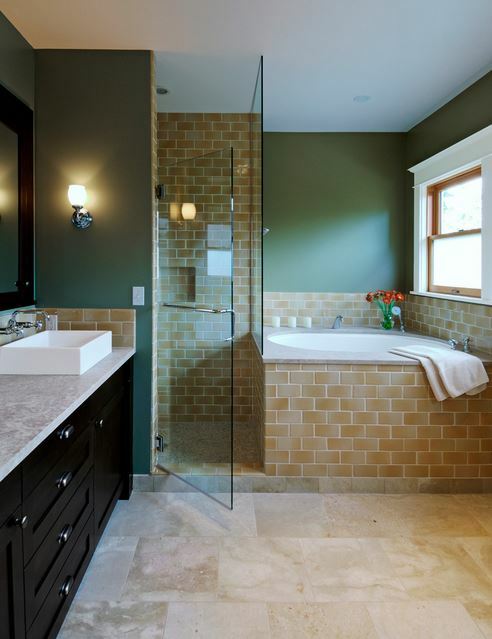 This entry was posted in Bathroom Remodeling on by Bathroom Heaters Guy. Selecting a vent fan for your bathroom can be a bit tricky. The device itself is rather simplistic, but there are many options available today. It helps to understand the basic functions, or features and explore some of the advanced features that may have you jump up a bit in cost. Vent fans for use in a typical home range from $15 to $450. While that covers the gamut of what you’d find at say Home Depot or Lowe’s, a more median range for a quality fan ranges from $75 to $200. Depending on how your bathroom is situated, you could go the DIY route to save on professional installation. That could run as little as $200, and could go as high as $500 if the installation is done by a certified HVAC contractor. Bathroom vent fans exist to reduce excess moisture and odors from a room that regularly has both. Removing unpleasant odors, as quickly as possible, is the popular conception. But the bathroom is also a place where steamy showers and baths can lead to moisture build up. If you have insufficient ventilation, this can lead to moisture stains on walls and ceilings, peeling paint or wallpaper, frost on windows and even corrosion of metal fixtures. Worst case, mold develops and makes for unhealthy living. The mere presence of a fan is of course not enough, as the air has to be moved to some other location. Poor installation will exhaust the air to spaces that are still in the home. This may seem especially convenient in a bathroom that is on a lower level. Instead of leaving the moisture in a room that’s visible, it may seem easier to just get it out of sight and into ceiling joists or some other dark crevice. Suffice it to say, this is very bad practice as the conditions for mold have actually increased. Instead, you’ll always want to have ducts move that air out of the house, likely through a roof vent. Common manufacturers include Panasonic, Air King, Broan/NuTone and Delta. It’s likely one of these will have an affordable, good quality device that will match your needs. Though it helps to understand the basics and additional features. Ideally, a fan is quiet and excels in quickly discharging the unwanted air. Quiet though can be relative and subjective to each individual. Therefore, the industry uses the term sones to quantify how quite a fan is when operating. This is a scale that goes from 0 to 4.0 or higher (most noisy), often utilizing decimals to the tenths for conveying degree of loudness. In choosing a model, you’ll ideally want anything that is under 1.0, and up to 1.5 is still very good. The median and still fairly quiet is in range of 1.5 to 2.0. After that, noise is noticeable. Really, anything above 4.0 is a product that is considerably loud. At the same time, to operate with enough energy to truly remove air quickly, it might be noisy. It doesn’t have to be, but there is sometimes a trade off especially when considering an economical model. Air flow capacity is the second most basic function of a vent, and often the one that most determines price. This is quantified under the acronym of cfm, which stands for cubic feet per minute. The science on this says your fan ought to have 1 cfm for every square foot of floor space in your bathroom. The higher the cfm, the more powerful the motor is in removing air quickly. Yet, in listings of bathroom vents, you’ll see terms such as “max room size” to help indicate if that is a fan for you to consider. In other words, knowing the dimensions of your bathroom, along with fixtures that run water will go a long way in determining which product’s cfm is most appropriate for your bathroom. Now, that you understand the basics, let’s take a look at 3 devices in terms of sones and cfm. For this article, I am selecting among 3 different vents to help you zero in onto the right fan based on your price range. My intention is to go with one high priced, one medium, and the lowest price I could find. Note that the listings actually include cfm routinely as way to determine the model. Such that the Panasonic Whispering Ceiling is more of a line within the brand where you can purchase various cfm options, but still maintain the extremely low sone level. This entry was posted in Bathroom Fan Reviews on by Bathroom Heaters Guy.